What if I told you that you that most websites are nothing but glorified brochures that are not tapping into the real power of what a website should be. Because of this many coaches, consultants and small business owners are struggling to get leads, clients and ultimately sales. But not you. 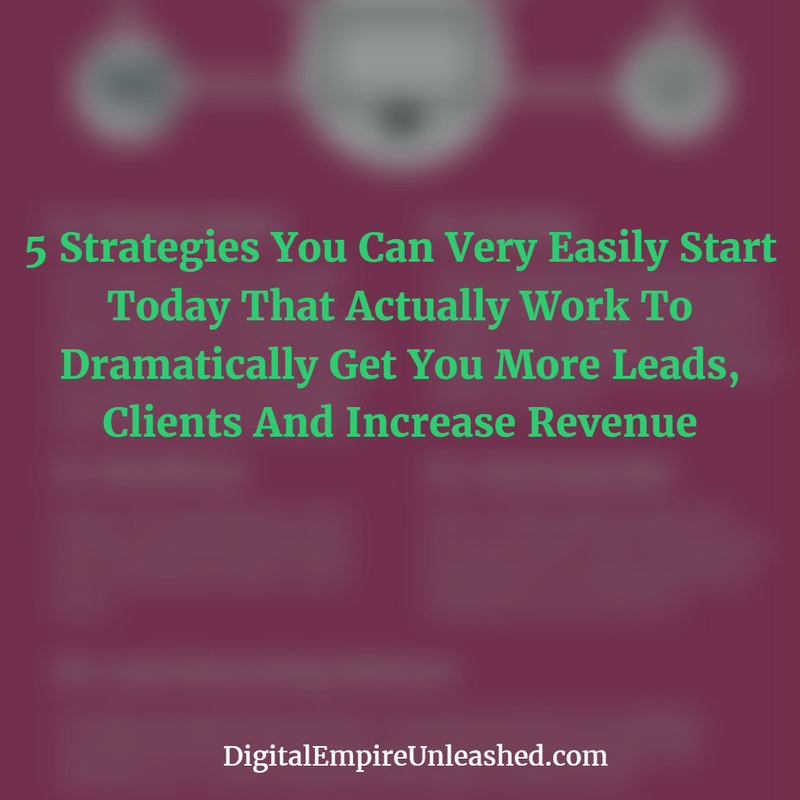 After today, you can immediately begin implementing the 5 strategies outlined in this free infographic. With this infographic and bonus audio, discover exactly what you need to have in place today to finally start creating a business that captures leads, clients and sales. Yes, definitely send me my FREE Infographic and *BONUS* Audio! You're almost there! Please complete this form providing best email to send infographic/bonus audio and click the button below to gain instant access. Download Your FREE Infographic And *Bonus* Audio Today!